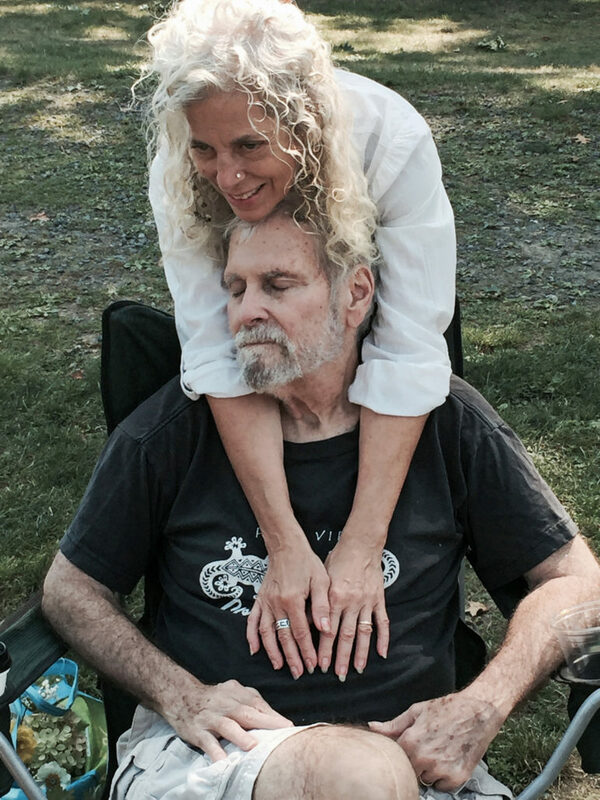 Deb Howland-Murray and her husband, David Murray, four months before his death. I am not a medical expert. The expertise that justifies my speaking with regard to an “aid-in-dying” bill, as referred to in this op-ed by Dr. Paul Bluestein, is quite different. My perspective is informed by the fact that I am a recent widow. My husband David’s story is most likely far from unique, but it is at the heart of what is the same issue in softer lay terms: death with dignity. David lived five months after learning he had metastatic renal cell carcinoma. He knew his chances were slim. Yet, he maintained that his cancer was a gift, one that opened his eyes and heart to a deeper love of family and of life. He was unfailingly positive. Attending physicians brought their interns to speak with him, finding fertile ground for their students’ learning in his musings on life, cancer and death. At one point in the course of the disease, David developed such severe lung dysfunction that he was admitted to the Intensive Care Unit at Yale New Haven Hospital. I was told to summon our large family to say goodbye. In a barely audible voice, David shared individually the things he loved most about each child, child-in-law, and grandchild. This is how he had envisioned his last moments with family. Retrospectively, I believe perhaps it would have been a kindness for him to be granted this as a final encounter, just as he wanted it, with his heart and lungs giving out on that day. But they did not. As the disease progressed and treatments failed, David became angry about one thing, and one thing only. He could not exercise agency over the last great act of his life – his own death. He considered death a huge hurdle we all must conquer, and therefore quite an accomplishment to achieve. He desperately wanted to live well in the time afforded him, and part of living well meant dying well when death was inevitable. He wanted to exit gracefully before the pain was unbearable and all dignity lost. It was not meant to be — not in a state lacking the necessary legislation. Our country was founded by people who believed in rights of the individual, tempered by the good of the whole. To force a dying person to endure, rather than die peacefully and comfortably, serves no one. Nor should a person be required to end one’s life under such circumstances. It must be offered as a personal choice, made according to individual conscience. The medical community has given us the miracle of life prolonged far beyond what was imaginable years ago. I applaud the Connecticut State Medical Society for acknowledging that when the end of life is imminent, they can also bestow the miracle of a serene and dignified death. In David’s memory, I implore our state legislators to take heed and grant us control over our own deaths, even as they seek to ensure our rights in life. The two are really one and the same. Deborah Howland-Murray is a portrait artist and writer who has lived in Westport most of her life.